On World Hamburger Day, June 8, Dutch chef Diego Buik, conjured up what was to be the world’s most expensive burger. He stacked it with Japanese dry-aged Wagyu beef, lobster, foie gras and white truffles, premium cheese, ham, and caviar and an extravagant sauce made with lobsters, rare coffee and vanilla, saffron and soy sauce, coating the bun in 24 carat gold leaf. He priced it $ 2314, but didn’t make it to ‘world’s most expensive burger’, a title heled by an Oregon grill restaurant which served a burger priced at $ 5000. Read on for some of the world’s other most expensive foods and what makes them so. Magnificent macarons: What’s a jeweller doing making macarons? You’ll have to go to the St Regis Bal Harbour to find out. 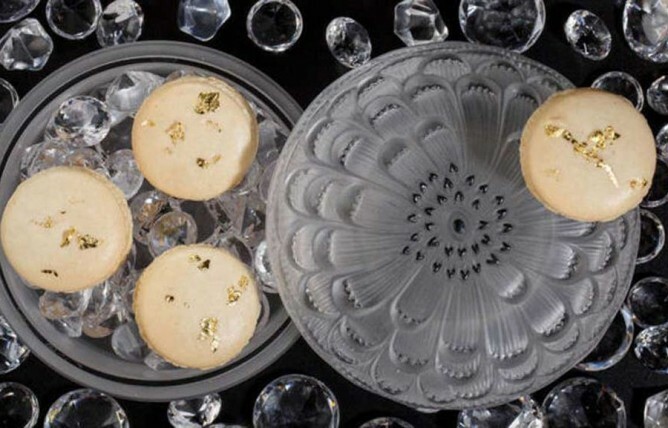 The hotel has roped in French jeweller Lalique to create the crystal macaron, made with white tea, topped with edible gold leaf and served on a cushion of sugar crystals within a keepsake crystal box. It’s priced at a jaw-dropping $9703. Haute hotdog: If you thought a hotdog is a sausage in a bun think again. 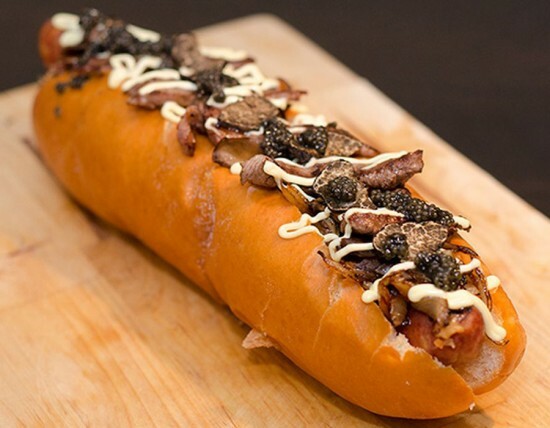 At the Tokyo Dog in Seattle it comes with Maitake mushroom, foie gras, black truffle, caviar and Wagyu beef sausage and is priced at no more than $181. Souper soup: The Kai Mayfair in London sells the Buddha Jumps Over the Wall Soup at $190 a bowl. 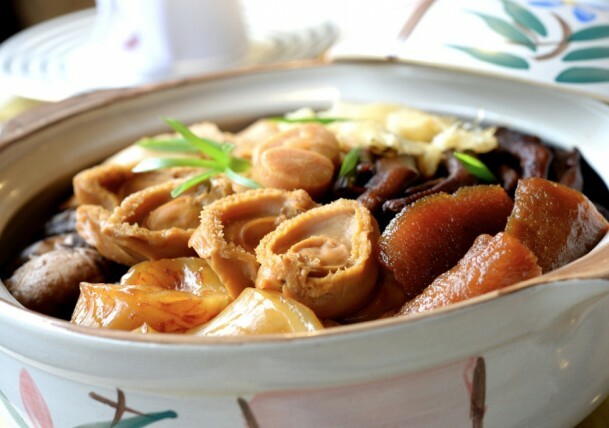 It contains Japanese flower mushrooms, sea cucumber, huan ham, chicken, dried scallops, abalone, shark fin, ginseng, and pork. Also, you can’t have it on a whim even if you can afford to pay for it. This speciality soup needs to be ordered five days in advance. Fantastic fish: Ordering Fugu, or Puffer Fish, in Japan is akin to living dangerously. It’s poisonous and has to prepared and served with extreme care. No wonder then, a plate of Fugu Sashimi is priced at $ 180. 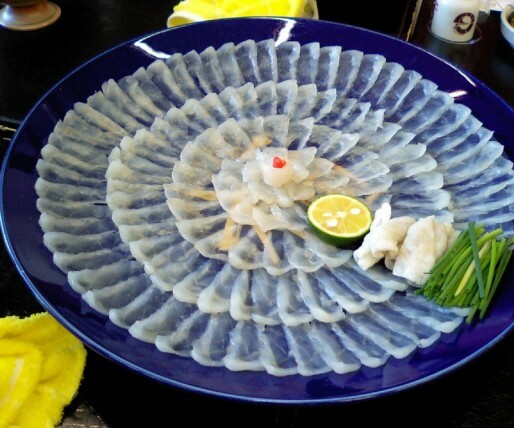 Being tempted to eat cheaper Fugu is to take a huge gamble. 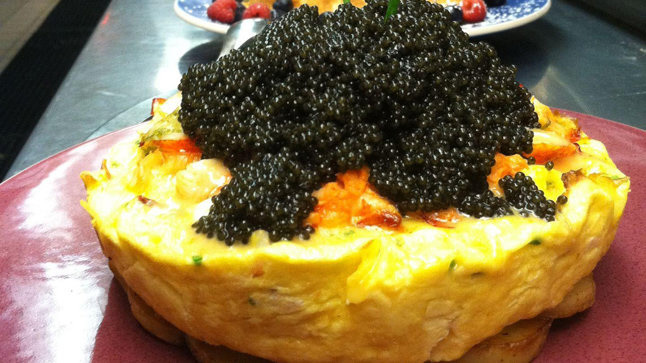 Fancy frittata: What do the rich and famous order when they dine at Norma’s in New York? The Lobster Frittata, that’s what. The frittata, or omelette, itself is pretty plain – six eggs, cream and chives. On top of it goes a pound of lobster and 10 ounces of caviar. The price? Just $1000.